Total assets versus risk weighted assets: does it matter for MREL? As a consequence of the global financial crisis, various initiatives have been taken in different jurisdictions to ensure the future resolvability of banks without massive use of public funds. In Europe, the BRRD introduced the concept of MREL, which is in the process of being defined. This material was originally published in a paper provided at the request of the Committee of Economic and Monetary Affairs of the European Parliament and commissioned by the Directorate-General for Internal Policies of the Union and supervised by its Economic Governance Support Unit (EGOV). 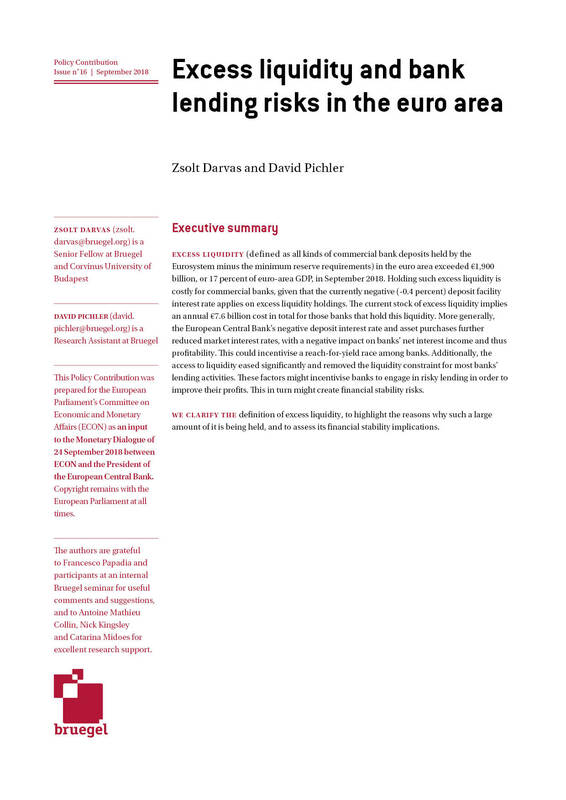 The opinions expressed in this document are the sole responsability of the authors and do not necessarily represent the official position of the European Parliament. The original paper is available on the European Parliament’s webpage. © European Union, 2016. Copyright remains with the European Union at all times. Please see the PDF version of the paper for footnotes, references, and appendices. 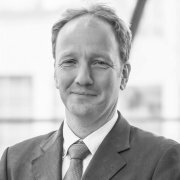 The European Union’s Bank Recovery and Resolution Directive foresees a ‘minimum requirement for own funds and eligible liabilities’ (known as MREL) that banks need to comply with in order to ensure the effectiveness of the bail-in tool. The details of how MREL should be constructed in practice are under discussion. We look at alternative ways to compute MREL, showing how the choice of the benchmark metric (risk weighted assets, total assets or leverage exposure) can change the allocation of requirements across banks. We also review MREL in light of the global effort to ensure future resolvability of banks, highlighting some differences with, and inconsistencies in relation to, the Financial Stability Board’s total loss-absorption capacity (TLAC) measure. The financial and euro-area crises showed how costly it can be for the public sector to take charge of banking sector problems. Between 2007 and 2013, European Union governments provided €836 billion to guarantee bank funding and €448 billion to recapitalise banks1. The Bank Recovery and Resolution Directive (BRRD) was introduced to establish a new framework for resolving banks with reduced involvement of taxpayers in bank rescues. The backbone of the new approach is the bail-in tool, which requires a greater share of the cost of recapitalisation or resolution to be shifted onto private creditors. For bail-in to be effective, the BRRD foresees a minimum requirement for eligible liabilities and own funds (MREL) that banks need to comply with. 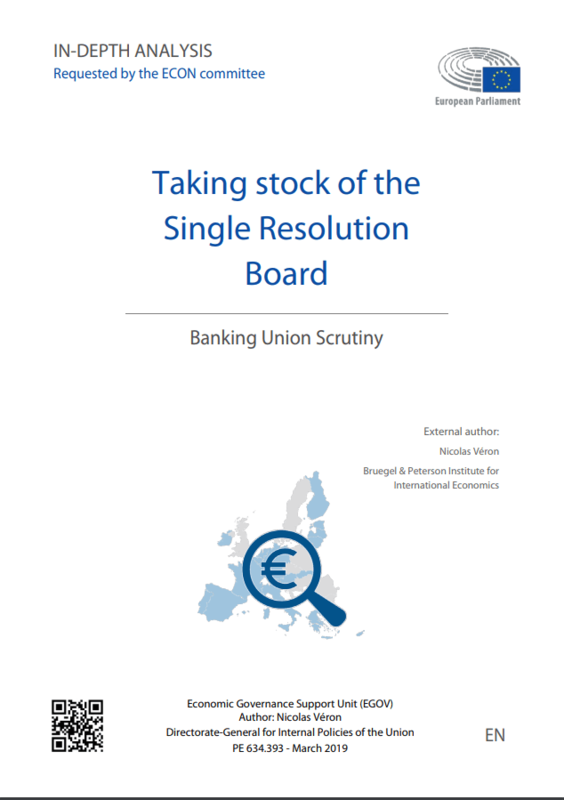 Effective resolution of banks is however a global priority, and the Financial Stability Board (FSB) set in 2011 a global standard for total loss absorption capacity (TLAC), applying to global systemically important banks (G-SIBs), which needs to be transposed into EU law. How can the design of MREL be made consistent with both TLAC and the requirements of the BRRD? The two concepts have significant conceptual and operational differences and there is a strong rationale for harmonisation, to avoid creating confusion and uncertainty. We briefly review the differences and comment specifically on the choice of the measure through which requirements are expressed: risk-weighted assets or total assets. Before embarking on the data analysis, it is useful to briefly review the regulatory background to MREL. Article 45 of the Bank Recovery and Resolution Directive (BRRD) requires that banks hold sufficient bail-in-able liabilities and meet at all times a minimum requirement for own funds and eligible liabilities (MREL). MREL is currently envisaged as a Pillar 2 measure2, ie not a minimum standard but one set individually for each bank. While the concept of MREL is defined in the BRRD, its operational definition is left to the European Banking Authority (EBA)3, which published Regulatory Technical Standards (RTS) on 3 July 2015. These set out an MREL measure that combines a loss-absorption amount and a recapitalisation amount (Figure 1). The first component needs to be sufficient to ensure that losses are absorbed. The EBA argues that the regulatory capital requirements reflect the judgement of the supervisor about the level of unexpected losses that an institution should be able to absorb, so as a baseline, losses equal to capital requirements should be absorbed. Combined buffer requirements foreseen in the Capital Requirements Directive (CRDIV) could be added as could any existing Pillar 2 requirements. The EBA RTS leave discretion to the resolution authority to change these requirements, subject to consultation with the supervisor. In particular, MREL can be adjusted based on the estimated contribution of the Deposit Guarantee Scheme, or to reflect specific features of the institutions, such as business model risk profile or governance. Source: Bruegel, based on EBA RTS. The second component is a recapitalisation amount, which should ensure the institution is able to re-enter the market. For those institutions that can be liquidated credibly and safely, the EBA argues that the recapitalisation amount should be zero. If this is not the case, then the recapitalisation amount should at least enable institutions to comply with the minimum criteria required to obtain the supervisor’s authorisation to operate, so an 8 percent total capital ratio. However, the resolution authority can increase this, if deemed necessary to “maintain sufficient market confidence after resolution” (EBA, 2016). For systemically important institutions – which are unlikely to be easily liquidated or resolved without the use of external funds – the draft RTS require the resolution authority to confirm, as part of its assessment of MREL, that the bank’s resolution plan is compatible with the ‘burden sharing’ clause of the BRRD (Article 44(5)), which prescribes a bail-in amount of 8 percent of total liabilities before any external funds can be accessed. The European Commission would like to see this removed from the RTS, on the grounds that it might be seen as introducing a general minimum MREL for systemically important banks. The EBA opposed this amendment, arguing that the 8 percent burden-sharing should be taken into account because it represents a significant constraint on the resolution authority when setting MRELs for these banks (EBA, 2016). The MREL framework is legally binding for all banks domiciled in the EU, but the effort to ensure the resolvability of financial institutions is global. The FSB and the Basel Committee on Banking Supervision (BCBS) agreed in November 2015 on a global standard for total loss absorption capacity (TLAC), which applies only to the global systematically important banks (G-SIBs). These are the world’s 30 largest banks, 13 of which are currently in the EU jurisdiction (Figure 2). Source: Bruegel, based on FSB (2015). Different to MREL, TLAC is a Pillar 1 requirement that sets a minimum standard for all G-SIBs. The FSB requires G-SIBs to hold mandatory minimum TLAC levels equivalent to 16 percent of risk-weighted assets subject to a minimum of 6 percent of total leverage exposure. The requirements will take effect from 2019, and will rise to 18 percent and 6.75 percent respectively in 2022. In terms of composition, TLAC may include, in addition to regulatory capital, subordinated or unsecured senior debt, which must be at least 33 percent of the total TLAC amount4. Basel III buffers (like the capital conservation buffer or the G-SIB buffer) are not included and must be covered by are not included and must be covered by additional CET1 capital. The FSB also defines the concept of ‘internal TLAC’, which we discuss in the next section. Both TLAC and MREL seek to ensure that banks hold enough liabilities with loss-absorbing capacity to deal with banking crises, protecting financial stability and minimising costs for taxpayers, but there are important differences. 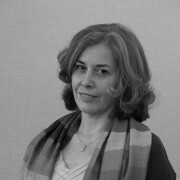 TLAC was conceived as a Pillar 1 measure and it applies only to G-SIBs but it constitutes a common minimum standard; MREL on the contrary is a Pillar 2 measure, it applies to all European banks but it is mostly determined on a case-by-case basis, with discretion left to the resolution authority. TLAC is not legally binding in itself but in order to ensure compliant implementation for EU-domiciled G-SIBs it will require amendments to the currently relevant EU legislation (CRR/CRD IV, BRRD). 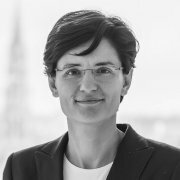 MREL requirements for individual EU banks could vary significantly, because of the scope for discretion we have described: MREL could be above 16 percent or as low as 8 percent of risk-weighted assets for a non-systemic bank, should the resolution authority waive additional requirements and the recapitalisation amount. Another technical aspect that should be clarified is the level of consolidation at which the authorities will ask banks to comply with MREL. In a single point of entry approach, resolution tools are applied at the level of the holding company, whereas in a multiple points of entry approach they are applied at different levels within the group. The difference between the two approaches is relevant in the context of the MREL/TLAC discussion. In a single point of entry resolution strategy, losses incurred within the group are absorbed by the ultimate parent or holding company. Therefore, loss-absorption capacity in this case should be created at parent level and transferred to each subsidiary internally. This internal capacity should ensure that if the home resolution authority (ie the one responsible for the parent company) triggers bail-in at the parent-company level, the loss-making subsidiaries can be recapitalised. In a multiple points of entry strategy, on the contrary, resolution and resolution tools operate independently at the level of individual subsidiaries. This implies that within the group, each entity that might be subject to a separate resolution action and should have sufficient individual loss absorption capacity should cover its own losses in case of resolution. TLAC favours a single point of entry approach. To ensure that capital can be made available at the parent-company level in the event of resolution, TLAC includes a requirement for significant sub-groups to maintain a level of ‘internal TLAC’ amounting to at least 75-90 percent of what the sub-group would have to provide should it be resolved individually. MREL on the contrary does not favour one specific approach, but allows for a case-by-case assessment of each group based on the proposed resolution plan. However, MREL is meant to create extra loss-absorbing capacity, ie to shift losses to external shareholders and bondholders. This seems to imply that MREL should in principle be applied at the consolidated level, where there are external share and bond holders, and not at the individual internal level. There is also confusion on how the requirements should be calculated in practice. While TLAC is framed in terms of risk-weighted assets and leverage exposure, in Europe the measure of total (unweighted) assets has come back into the discussion, because of the role that it plays in the BRRD burden-sharing framework. We will show in the next section that the choice of measure is relevant for the distribution of requirements across banks. It should be evident that the coexistence of two standards that differ in several ways is potentially confusing, not only for banks that will need to comply with both, but also for investors and credit rating agencies. There is certainly a strong case for avoiding the creation of double standards, and the implementation of the TLAC standard in EU law and the review of MREL requirements as foreseen in article 45 of the BRRD might provide an opportunity to amend the definition of MREL, and align it with both the TLAC standard and the actual methodology used to calculate MREL requirements. 4 What does the data tell us? In this section, we address two questions. First, we look at whether the choice of the denominator, ie the measure against which requirements are benchmarked, matters for the allocation of requirements to banks, and if so, how. Second, we look at how different metrics impact potential loss absorption amounts. This also sheds some light on the question of the potential alignment of MREL and TLAC. 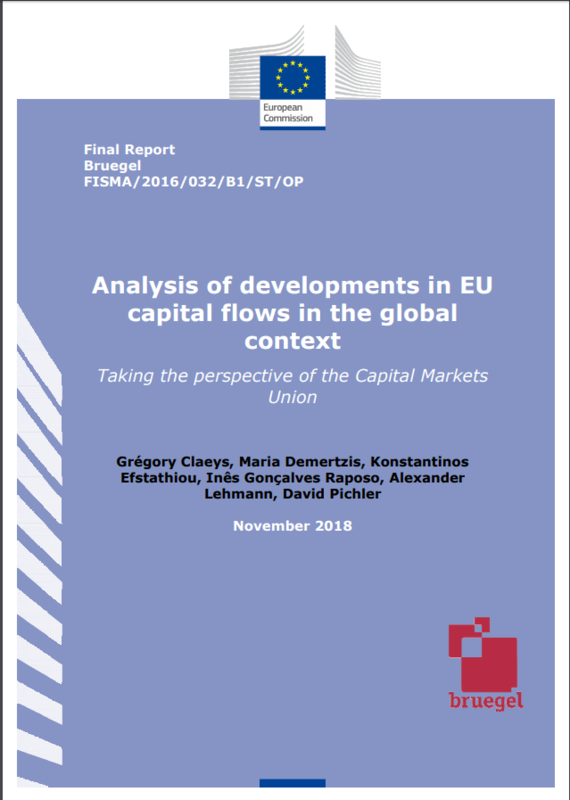 The analysis is based on a sample of 105 banking groups that were assessed in the 2015 EBA transparency exercise, covering about 70 percent of the EU’s banking assets. We use the most recent data available after combining data from EBA and SNL Financial, which means mid-2015 data for most of the banks, otherwise end-2014 or end-2015 (see Appendix A for more details). Many regulatory measures that play a key role in banking supervision are expressed in terms of a banks’ risk-weighted assets. The use of risk-weighted assets in banking supervision has been criticised on several counts. Le Leslé and Avramova (2012) for example highlight the pro-cyclicality of this metric, and the incentive for banks to game the system by underestimating risks. The measure of leverage introduced by Basel III is non risk based and is intended to complement the risk-weighted requirement, as leverage ratios are simpler to compute and they tend to be more countercyclical than risk-weighted assets (Brei and Gambacorta, 2014). Leverage ratios are also expected to give a more complete and harmonised picture of a bank’s total exposure, encompassing on- and off-balance sheet items. In Europe, total assets are once again being seen as relevant for regulatory ratios, because the BRRD’s minimum bail-in requirement, which needs to be met in a bank resolution before external funds can be accessed, is expressed as percentage of total liabilities. It is therefore useful to understand the differences between the three metrics in practice. Figure 3 shows the ratio of risk-weighted assets to banks’ total assets and demonstrates that there are major differences according to bank size, with smaller banks having a higher ratio and larger banks smaller ratios. This implies that any measure based on risk-weighted rather than total assets will lead to relatively higher requirements for small banks. For completeness, we also show the ratio of leverage exposures to total assets (Figure B1 in Appendix B). Total assets and leverage exposures unsurprisingly appear significantly more aligned across banks, independent of bank size. However, the dispersion across banks can still be sizeable, ranging from 77.7 percent to 125.5 percent in the whole sample5. 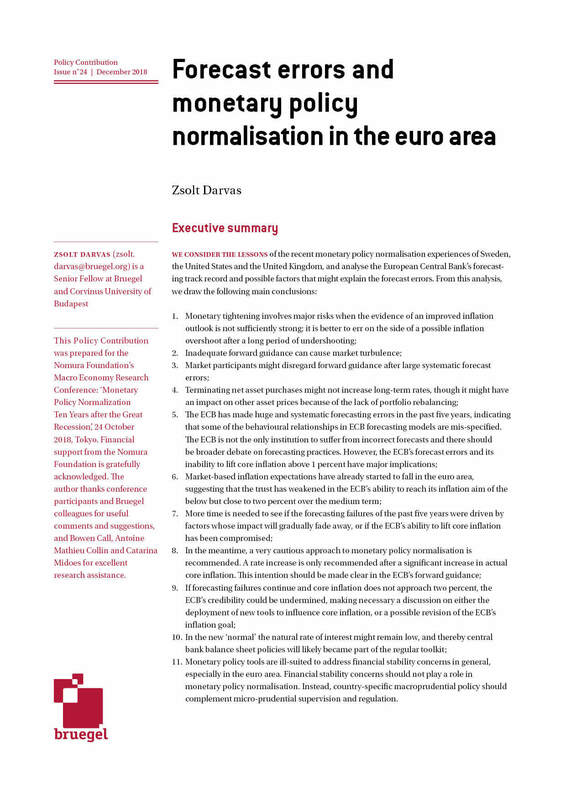 Source: Bruegel calculations based on EBA Data and SNL Financial. Note: The amounts shown are averages across size groups weighted by total assets. The size groups are categorised according to total assets: smaller than €30 billion (S), between €30 billion and €150 billion (M), and larger than €150 billion (L). G-SIBs are excluded from these three groups and defined in FSB (2015). 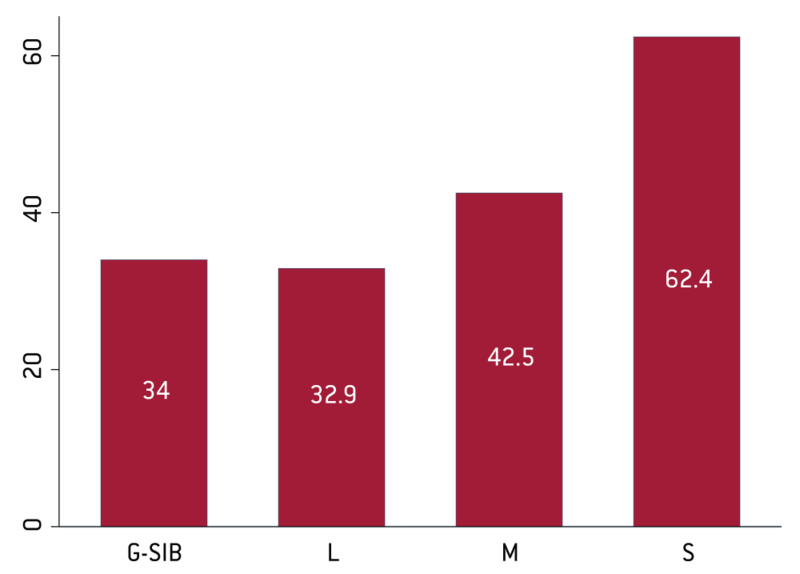 For 12 G-SIBs headquartered in the EU6, Figure 4 shows the amounts of risk-weighted and total assets, ie total liabilities including own funds7. It emerges that even within the same bank size bracket, the ratios of total and risk-weighted assets are quite different, ranging from 21.9 percent to 46.4 percent. As an example, if risk-weighted assets were used as the underlying metric, Banco Santander would face higher requirements than Société Générale, even though both have similar sized balance sheets. Source: Bruegel based on EBA and SNL Financial. Regulatory requirements can therefore potentially change the allocation of resources across banks, depending on the metric used. The calculation of risk-weighted assets explains to a great degree the structural differences between total and risk-weighted assets. Haldane and Madouros (2012) find that an internal ratings-based approach, used by bigger banks, leads to lower risk weights than the standardised approach, which is mainly used by smaller banks. The latter allows for less room for manoeuvre when it comes to the risk weights8. Turning to the question of alignment of MREL with TLAC, this only applies to the EU G-SIBs. In this section, we calculate hypothetical bank-level loss absorption requirements for G-SIBs, based on the different definitions of the two measures. The EBA RTS gives ample discretion to the resolution authority, and we have therefore to make some simplifying assumptions. First, we do not take into consideration any Pillar 2 buffers, as this reflects the bank’s risk profile, which might be substantially altered during resolution. Second, we include the combined buffer, because the EBA RTS links the assessment of the appropriate capital position of a bank after resolution, which determines the recapitalisation amount of MREL, to the capital position of the peer group, in particular for G-SIBs. The surviving bank should therefore satisfy the capital requirement including the combined buffer after resolution. We therefore apply the following requirements to all G-SIBs: (i) full bail in is the resolution strategy; (ii) the capital requirement is composed of: 8 percent total capital ratio, 2.5 percent capital conservation buffer, and the higher of G-SIB buffer and systemic risk buffer9; (iii) we exclude the counter-cyclical capital buffer since it is time-varying, (iv) we disregard potential deposit guarantee scheme and Supervisory Review and Evaluation Process (SREP) adjustments. Several aspects of Figure 5 are worth highlighting. First, following the EBA’s proposal and taking the 8 percent of total liabilities as a constraint (red line) one can see that both hypothetical MREL and TLAC (both in leverage exposure and risk-weighted asset terms) are below 8 percent of total assets for eight out of the 12 banks. Second, the hypothetical MREL exceeds TLAC (which is the higher of the leverage exposure and risk-weighted asset-based) in all but one case. In other words, MREL for G-SIBs seems to be more demanding in terms of requirements than TLAC, in all but one case. Third, when looking at TLAC, for nine out of 12 G-SIBs, the leverage ratio constraint, as opposed to the risk-weighted constraint, is binding. Sections 4.1 and 4.2 show that the choice of the measure – risk-weighted or total assets, leverage exposure – is relevant because it might change how requirements are allocated across banks. In particular, there is a discernible size bias. However, the use of risk-weighted assets for capital ratios is a regulatory preference that we treat as exogenous here and therefore do not question. Since according to the EBA RTS, the calculation of MREL is fundamentally linked to capital requirements, the use of risk-weighted assets for MREL becomes exogenous as well. Nevertheless, to address the issue of the dominance of risk-weighted assets in setting the requirements, we suggest using the leverage ratio as a secondary metric, instead of only using it as a backstop. This would imply that the basic leverage ratio requirement of 3 percent increases proportionately with capital requirements, depending on which buffers are included. This way, total assets, which strongly correlate with leverage exposure, are implicitly accounted for. On the size issue, we think a good way to proceed is as per the proposal of the Bank of England (2015), which assigns resolution strategies according to bank size. Banks above a certain threshold will be required to hold an MREL consistent with bail in and small banks will be required to hold an MREL consistent with liquidation, ie a recapitalisation amount of zero. Although the exact calibration of the threshold is open to discussion, we strongly support such a simplification to both limit the discretion of resolution authorities and to send clear signals. One such signal would be that small banks will always be liquidated, ie resolution authorities will let them fail. As a consequence of the global financial crisis, various initiatives have been taken in different jurisdictions to ensure the future resolvability of banks without massive use of public funds. At the global level, the Financial Stability Board and the Basel Committee on Banking Supervision agreed on a global standard for TLAC, which applies only to the G-SIBs, including European G-SIBs and their subsidiaries in other jurisdictions. In Europe, the BRRD introduced the concept of MREL, which is in the process of being defined. Both TLAC and MREL seek to ensure that banks have enough loss-absorption capacity to deal with banking crises, protecting financial stability and minimising the costs for taxpayers. However, there are major differences and there is potential for confusion. TLAC was conceived as a Pillar 1 measure and it applies only to G-SIBs, but it constitutes a common minimum standard; MREL is a Pillar 2 measure, it applies to all European banks but it is mostly determined on a case-by-case basis, with discretion left to the resolution authority. TLAC provides a clear reference value in terms of risk-weighted assets or leverage exposure, whereas MREL – while being also based on these two measures – is currently expected to be expressed in reference to total assets. We showed that the choice of measure is quite relevant and can change the allocation of required bail-in-able liabilities across banks. If the measure were based on risk-weighted assets, smaller banks would face higher loss absorption amounts for a given requirement, as their risk-weighted to total assets ratio tends to be higher. However, since capital requirements are calculated against risk-weighted assets (and the leverage ratio), and the EBA RTS link MREL to going-concern capital requirements, we find it hard to conceive an MREL that is based on total rather than risk-weighted assets. One option to implicitly account for total assets and to limit the dominance of risk-weighted assets is to increase the leverage ratio requirement in proportion to risk-weighted assets instead of only using it as a static backstop. Although banks in different size categories might face similar capital requirements, their MRELs might differ substantially because resolution strategies might differ. We argued that the Bank of England’s (2015) proposal to assign resolution strategies according to bank size is a good way of limiting discretion and uncertainty. Furthermore, we showed that if MREL and TLAC were to be aligned for G-SIBs, the hypothetical loss absorption amount would vary greatly. The 8 percent total liabilities constraint, as proposed by the EBA, would exceed both MREL and TLAC requirements for eight out of 12 banks. Comparing our hypothetical MREL with TLAC requirements, MREL seems to be more demanding in terms of requirements than TLAC, in all but one case. 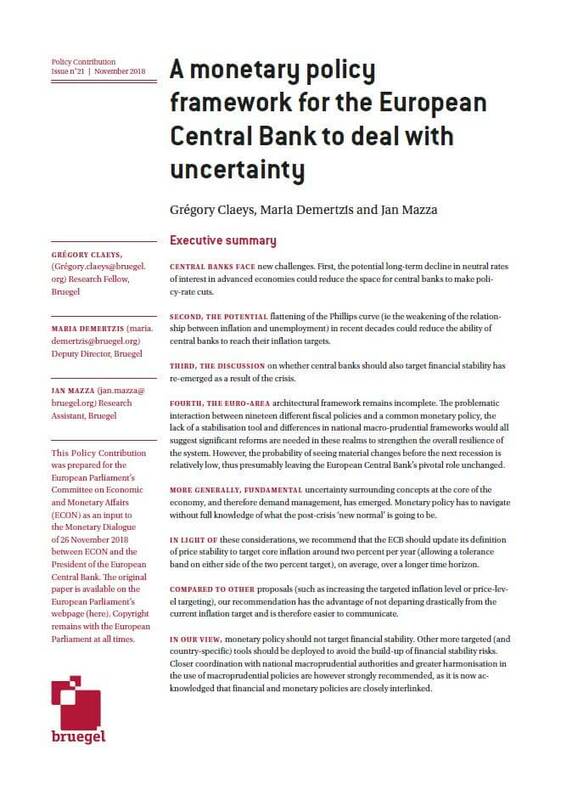 While not dismissive of the importance of building appropriate loss-absorption capacity in those institutions that pose the greatest systemic risk, we think it is advisable to end the current regulatory uncertainty. If MREL and TLAC continue not to be aligned, EU G-SIBs and their international subsidiaries risk facing different requirements in different jurisdictions, and it is hard to see how this complexity can be helpful in ensuring that these banks are more easily resolvable in the future. A further issue is that of the level of consolidation at which loss-absorption requirements should be set. The MREL proposal defines neutrality vis-à-vis the resolution strategy, while TLAC establishes a preference for single point of entry models. We believe that, even though MREL does not explicitly require banks to adopt structural measures that would facilitate a single point of entry approach, there is a strong rationale for fostering the application of MREL at the consolidated level. MREL is meant to create extra loss-absorbing capacity, ie to shift losses to external shareholders and bondholders. This seems to imply that MREL should be applied at the consolidated level, where there are external share and bond holders, rather than at the individual internal level.